aims of our company we focus on the following areas of action. CBF was the first farm east of the Mississippi to be enrolled in the Federal Grassland Reserve Program. Each year only one farm in the US is chosen for the program and under this we have conserved almost 300 acres as perpetual grassland. CBF has worked with the NRCS to keep the Indian River and streams clean, we have amassed the highest number of conservation points in Vermont. Work has included: the installation of buffer and filter strips along all water courses, along with the installation of fencing around pastures to contain the livestock. The removal of artificial berms along the banks of the Indian River allows for spring flooding along with creation of the natural river course. Implementation of a wildlife habitat restoration program also includes planting hundreds of native species trees and shrubs to provide food and natural habitat. 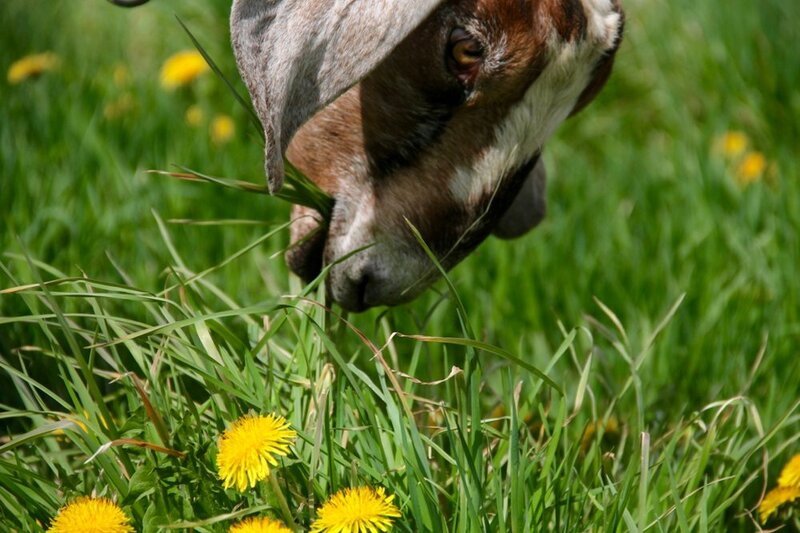 Hay land and pasture is one hundred percent NOFA Certified Organic, pesticide and fertilizer-free. Our goat herd is rotationally grazed, moving to fresh grass paddocks every twelve hours on a sixty day cycle to eliminate parasite problems and use of medications. The herd has been parasite free for the last 7 years. We rotate cows and finally chickens onto the pastures once the goats move on. Soil condition is monitored, tested and amended as required to maintain our certification. Waste products from the production of our cheeses and the housing of our animals are composted and returned to the land. We are Certified AWA ( Animal Welfare Approved ). In recognition of our efforts Consider Bardwell Farm along with our partner farm- Wayward Goose- were selected by the Vermont Sustainable Council as sole recipients of the 2013 Vermont Sustainable Agriculture Farm of the Year. Consider Bardwell has been responsible for the re-opening of two local small farms and the expansion of a third farm which now supply us with cow’s milk. We pay a premium for the highest quality milk suitable for our cheeses which helps these small farms remain viable. We employ a dozen local people and pay a living wage to our farm and creamery staff which supports several local families. Our staff are regularly sent out on training courses to help them further their knowledge and skills including an awareness of farm and creamery food safety.